With the announcement, we got some statistics. There’s a ton of activity in Second Life’s L$ economy: every day, the Marketplace alone sees more than 20,000 unique buyers purchasing more than L$16,000,000 worth of goods from more than 15,000 unique sellers. That’s a whole lotta Lindens changing hands! And that’s not even including inworld transactions. Posted in Nirans Black Dragon, Second Life, Server, SLV2, 3, 4, 5, & 6 Series, Viewers. The main channel is not updating this week. It will continue to run version #17.09.01.508236. Blue Steel and Le Tigre channels will update to version #17.09.14.508549. This version addresses: Improvements to address some problems that could degrade simulator performance in rare cases. 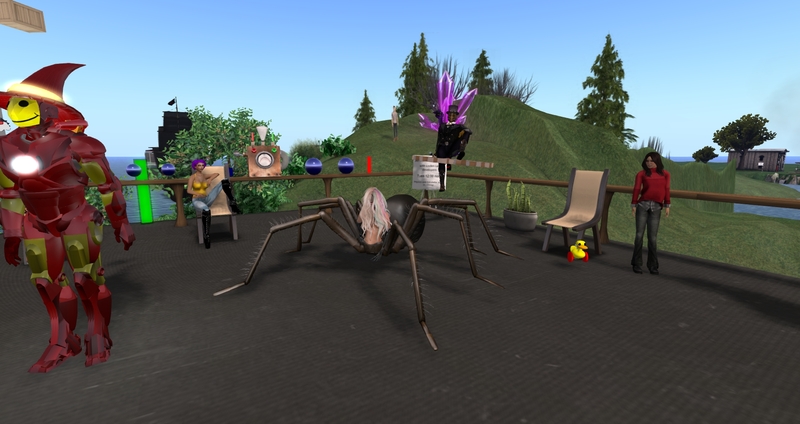 Posted in Kokua Viewer, Nirans Black Dragon, Second Life, Server, SLV2, 3, 4, 5, & 6 Series, Viewers. I don’t cover the Third-Party Viewers as much as I used to. I think Project Bento is a change that will make any viewer without Bento capability obsolete. Some Third Party Viewers are already Bento capable. Here is what I have found. Posted in Alchemy, Black Dragon, Catznip, Cool VL, Firestorm, Kokua Viewer, Nirans Black Dragon, RLV, Second Life, Singularity, UKanDo, Viewers. This is a brief round up of the Third Party Viewers for Second Life that I find interesting. Not in any particular order. The popular feature to be adding is: Restore to Last Position. I explain that in the section on RLV. Marine has updated the RLViewer she maintains. She is adding in the feature from Firestorm and Kokua: Restore to Last Position. This is a controversial feature the Lindens have omitted from the Linden made viewer. It apparently generates too many support calls. Posted in Alchemy, Black Dragon, Cool VL, CtrlAltStudio, Firestorm, Kokua Viewer, Nirans Black Dragon, RLV, Second Life, Singularity, UKanDo, Viewers. From the Third Party Developers’ meeting last Friday we got some news. Not much from the Linden side. I am often wondering if there is really so little for them to talk about in regard to Second Life™ or if the community is wearing them down and they are talking less as a defense. We have been down that road before. Posted in Alchemy, Black Dragon, Catznip, Cool VL, Firestorm, Kokua Viewer, Nirans Black Dragon, Second Life, Singularity, SLV2, 3, 4, 5, & 6 Series, Viewers. Yes some of the chat servers have been having troubles in the last few days. I’ve been looking into that … the code running there isn’t super new, and the outages might be timed with some of those [hardware update] restarts. In any case, there is an update soon for the chat servers, and already another in the pipeline. This week there are no rolls for either the main channel or RC channels. Next week is a no change week. So, I expect no roll outs that week either. We can expect tweaking to the CDN system. This week whatever they are doing that requires multiple restarts is ongoing. The main reason for no updates is the hardware updating requiring the restarts scheduled for this week. Estimating time for any individual update or the group is difficult as Simon says, “We also have to actually open up the server box and look inside to see if it needs an update, so it’s random how long each one takes. Posted in Alchemy, Black Dragon, Cool VL, CtrlAltStudio, Dolphin, Exodus Viewer, Firestorm, Kokua Viewer, Nirans Black Dragon, RLV, Second Life, Server, Singularity, SLV2, 3, 4, 5, & 6 Series, Viewers. NiranV announced the release of Black Dragon 2.3.9.9 (A?). The release notes are here. It looks like this is mostly a bug fix version. The article includes a long boring video. The screen captures are interesting. Posted in Nirans Black Dragon, Second Life, Viewers.